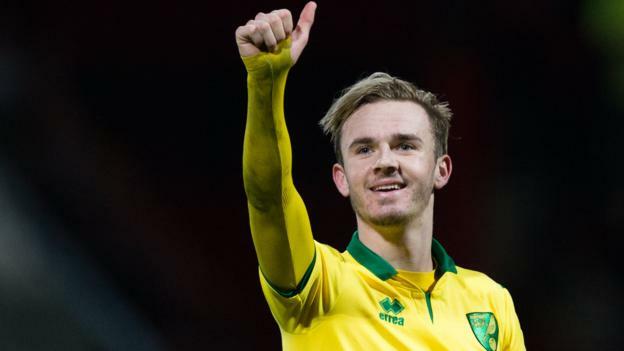 Leicester have had a bid of about £20m for Norwich attacking midfielder James Maddison accepted. The 21-year-old, who scored 15 goals in 49 games last season, is likely to have a medical at some point this week. It is understood there have been detailed discussions between the two clubs about the structure of a deal for the former Coventry player. His future has been the subject of intense debate since the Championship season ended last month. Leicester have been active in the transfer market already this summer – signing Northern Ireland defender Jonny Evans and Portugal right-back Ricardo Pereira.